We're here to help with whatever you might need. Visit our about & pricing page to learn more! We can help you protect your assets while also navigating the legal process in order to create a living trust that clearly expresses your wishes and is legally enforceable. Probate administration is the legal process by which assets from a deceased individual are distributed among beneficiaries. We are ready to help you settle your estate. With over 20 years experience we have the knowledge and understanding of how to make your Estate Planning or Probate service go smoothly. Code Questions? Stuck in the middle of a tricky situation? We have solutions. Call Deward today at (619) 334-1690. Rather than trying to handle your will or an estate on your own, see how a lawyer in East County San Diego may be of assistance. California Estate Planning & Probate will work hard to protect your rights and answer any questions you have. We’re familiar with the existing laws, and we stay current with changes in order to provide our clients with accurate and thorough information. 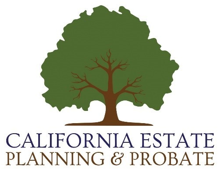 California Estate Planning & Probate will work hard to protect your rights and answer any questions you have. We’re familiar with the existing laws, and we stay current with changes in order to provide our clients with accurate and thorough information.